श्री श्री राधा गोविंद जी मंदिर (Sri Sri Radha Govind Ji Mandir) having a Goshala with more than 50 cows in Bahadurgarh. 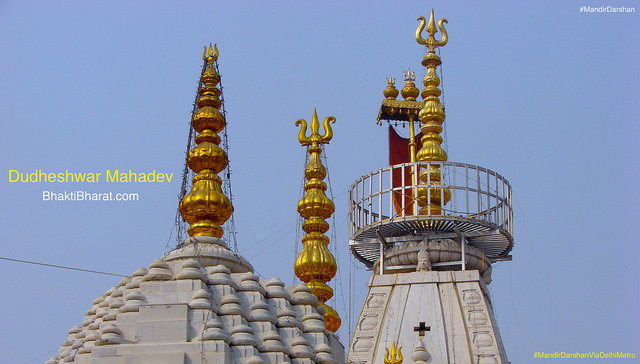 Popular for kirtan, spiritual lectures by brilliant scholars, known as ISKCON Punjabi Bagh. Under the guidance of HH Gopal Krishna Goswami Maharaj, ISKCON Rohini and ISKCON Bahadurgarh are two extensions of ISKCON Punjabi Bagh. 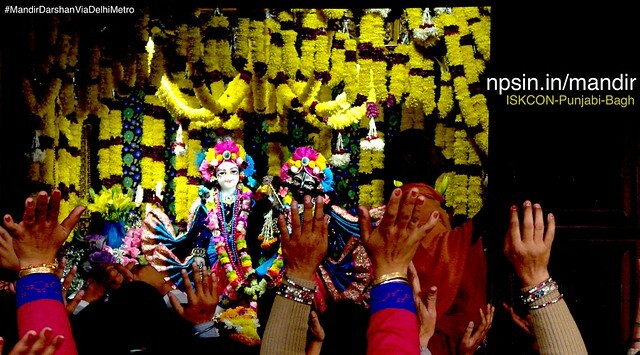 Series of ISKCON Temple in Delhi NCR. Having Govindas Bakery and Snacks Shop. A colourful sun embroidery placed at the front side of first floor balcony. Matching color among wall paint with colourful clothes made kandil. Colourful triangulate pannis decorated temple outer open campus on Ekadasi Vrat. A large size canvas placed on the left side wall, having Shri Ram Pariwar. 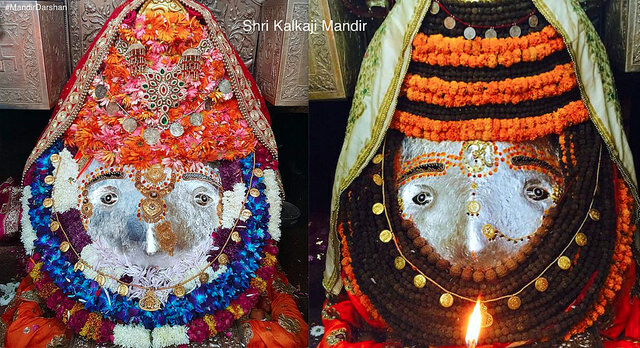 Shankh naad during Shri Radha Raman Darshan Aarti. Open hand of devotees shows all are dedicated by whole. 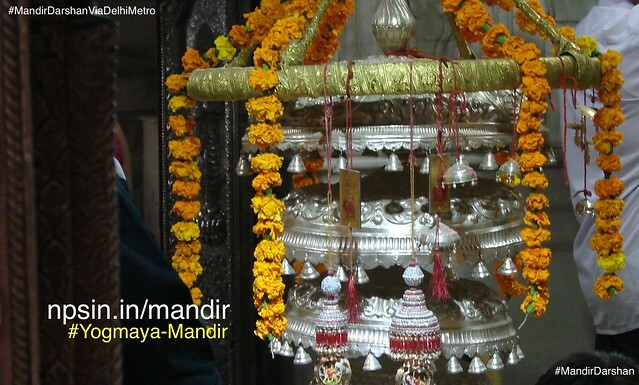 Holy water kalash pure as Gangajal with mango tree leaves and illuminated Deepak near yagyashal(Hawan Kund). Top of Shikhar on main entrance with Peepal tree at background. Shri Garun Dev ride with of Lord Shri Vishnu decorated with yellow marigold flowers near gift shop.